INDIANAPOLIS - With Opening Day quickly approaching, the contest is on for who will man the plate for the Tribe in 2019. The Pirates have their backstop crew all but set with Francisco Cervelli, Elias Diaz and Jacob Stallings as options, leaving three new faces with varying experience bidding for a spot in the Triple-A lineup. Here are the potential newcomers who could be calling the shots behind the plate with Indy come April 4. Christian Kelley - Kelley, 25, has worked his way up the ranks of the Pirates organization, going from being drafted in 2015 to appearing in 90 games (88 starts) as Altoona's catcher in 2018. 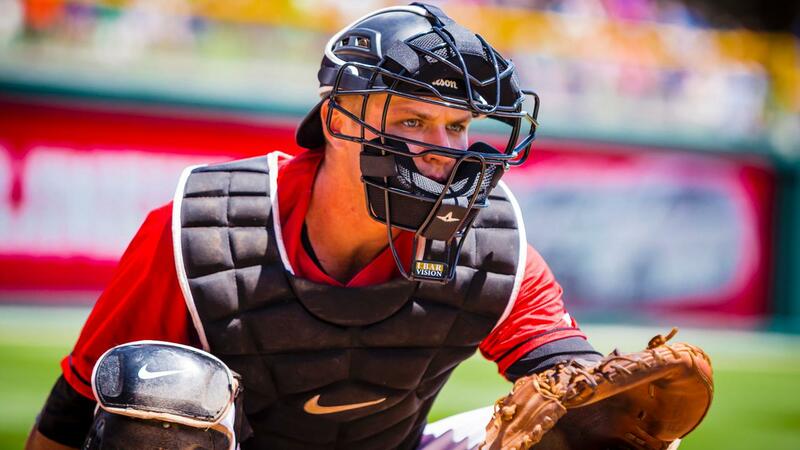 Last season, he entered the year named the Best Defensive Catcher by Baseball America in Pittsburgh's prospect pool. He ranked second among Eastern League catchers by throwing out 28-of-81 runners attempting to steal, good for a 35 percent rate on the year (with the Pirates in 2018, Cervelli threw out 39 percent of runners). At the plate in 2018, Kelley set career highs in home runs (eight) and runs scored (36) while hitting .235 (73-for-311). Steven Baron - With six major league games and ten years in the minors on his resume, Baron can use experience to his advantage. In 2018 he appeared in two games for St. Louis and started 38 games for Triple-A Memphis. In 329.0 Triple-A innings behind the plate, he committed just two errors and allowed three passed balls while throwing out 31 percent (8-of-26) of baserunners attempting to steal. Over his minor league career, the 28-year-old has thrown out 40 percent (287-of-719) of basestealers. Arden Pabst - As the youngest option at catcher, the 24-year-old Pabst already has experience behind the plate with the Tribe. He appeared in one Triple-A game in 2018 and went 2-for-3 at the plate. Pabst spent most of his time last season as Bradenton's starting catcher for 44 games and led the Florida State League by catching 43 percent (23-for-50) of attempted basestealers. He committed four errors over the course of 533.0 combined innings between Bradenton, Altoona and Indy. At the plate he hit a combined .264 (61-for-231) with 26 extra-base hits, including a career-high 10 home runs. Other to consider: Jacob Stallings, who is out of minor league options and if designated for assignment, must clear waivers before returning to Indy.